Simply the Bestival - More line up news! Bournemouth 4-piece sign to EMI! 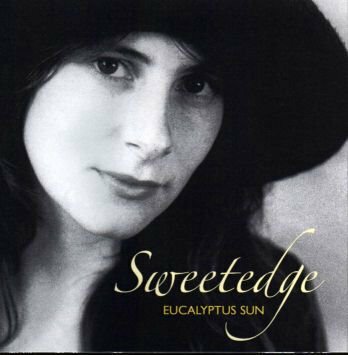 My first thought on listening to the new Sweetedge CD: vegan café music. That’s not a bad thing by the way. Simply, the combination of bluesy, folky chord progressions and rhythms, combined with unusual, rough - almost theatrical vocals remind me of open-mic nights sitting drinking green tea, discussing terribly profound things I don’t know much about. It is exactly those unique vocals that are the selling factor of this CD. Somewhere between Kate Bush, Joanna Newsome and Ella Fitzgerald lies the voice of Sweetedge singer Della Perrett. Bewitching, expressive, captivating – her voice has a gritty honey texture that soothes and scratches at the same time. Sometimes it paints images straight out of Macbeth, other times it makes you feel more like a character from Blues Brothers. It’s just a shame that the actual songs don’t seem to really show much in the way of variation and texture – it doesn’t quite hit the emotion such powerful vocals could evoke. Despite taking influences from a wide range of musical styles, the guitars seem quite flat – never really kicking in or stepping off. The vocal melodies never actually grab you, they don’t tease you, they don’t throw you around or lull you into a state of calm – they’re too safe. Sweetedge clearly have a lot of potential – they’re competent musicians and they have a vocalist who has the rare gift of making a song her own, of giving things her own sound. She doesn’t sing how she thinks she should sing, she just sings. Despite this, there are moments when her voice tries to be frantic and strained, but the music doesn’t let it break free. It’s frustrating in the kind of way it must be for a fly, trying to get through a window but repeatedly knocking itself out instead. For this band to go from the stuff of café open mic nights to being truly captivating on record, they need to learn to let go. If a song builds to a moment of chaos and anger – don’t try and make it nice – let it be chaotic and angry. Likewise, if it falls away to a patch of sparse and empty beauty, don’t try to fill it. They need to emotionally beat people up then kiss them better. They need to make the most of their most powerful asset – the voice of Della Perrett.